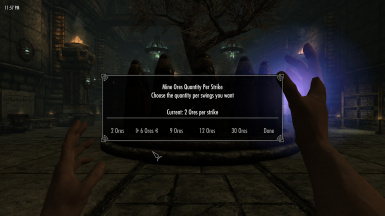 Note: This mod is a personnel mod that I created for myself and decided to share it. 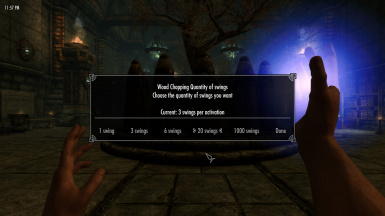 Yes another one, but Ores & Firewood speeds up the mining and chopping process and gives you more ore and firewood. 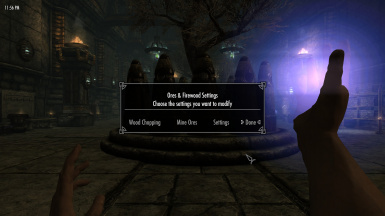 It's main feature is that it's all configurable directly in game at any time. You can one one vein to get 27 ores and the next one 90 ores and you can at any time return to vanilla settings. 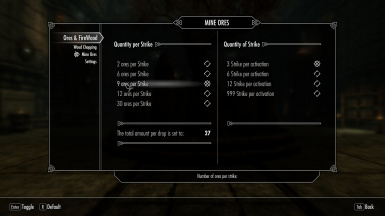 Mine ores settings are per strike are 3, 6, 9, 12, 30. 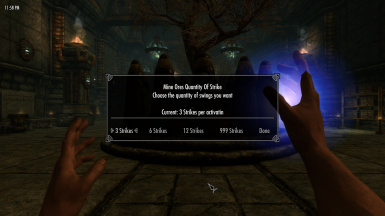 Mine ores settings are 3, 6, 12, 999 strikes per activation. 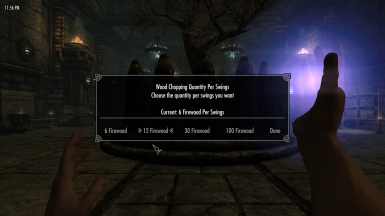 Wood chopping settings are per swing 6, 12, 30, 100. Wood chopping settings are 1, 3, 6, 20, 1000 swings per activation.. Using the USSEP mineorescript to keep the fix they did to the script. 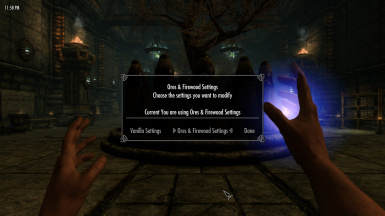 The mod install a spell "Ores & Firewoods Wood Spell" use it to access the menu. 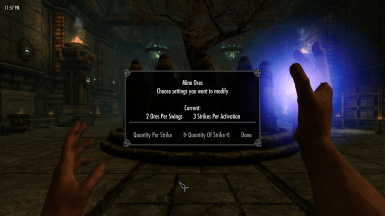 The spell is located in the conjuration tab. 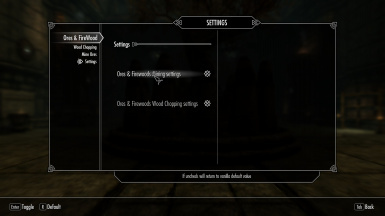 Any mod that change mineorescript and resourcefurniturescript is incompatible . 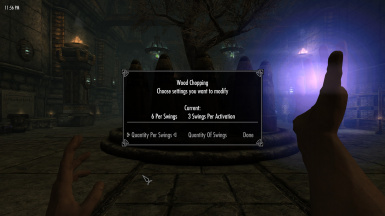 Any mod that change mining activators. every thing else is fine. Download and activate in Vortex or MO, then just activate it.